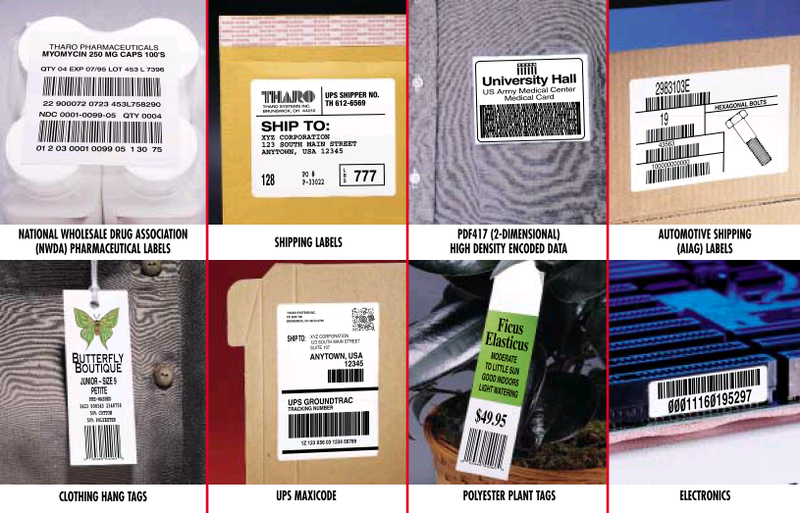 Easylabel is the easiest to use barcode and RFID label software available on the market today. Easylabel 6 includes every method of making label design and printing easy, fast and accurate. 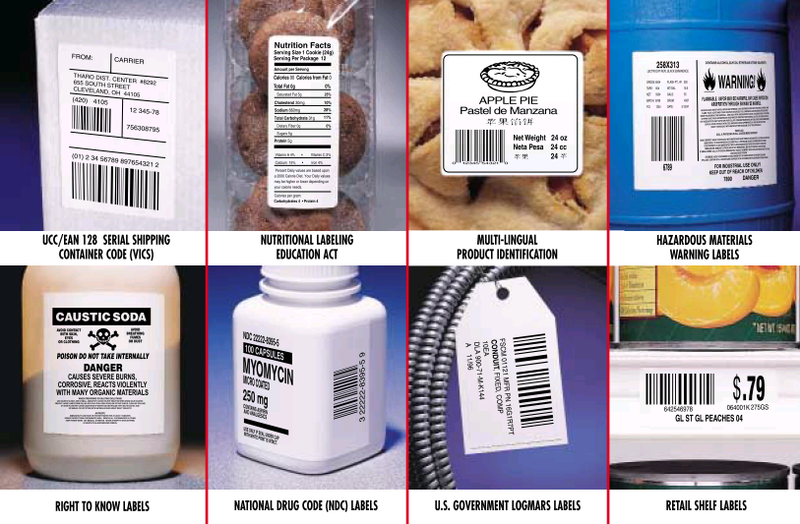 You don’t have to be computer literate to fulfill complex labeling requirements. Easylabel 5 incorporates an RFID Wizard and an EAN/UCC-128 Wizard to help meet all of your current and future label design requirements. The Easylabel 6 Multi-User version is most suitable for use in a Network environment where only a single licensing key is needed to print from multiple workstations on a network. With Easy Label 6 Multi-User all associated files, (formats, databases, images, serial files and report files) can be shared and stored on the network, avoiding confusion caused by multiple files in different locations. Best of all, The Multi-User version eliminates the need for multiple hardware keys when connected to a network and also allows users to print their labels from any workstation no matter where it is located, providing UDP packets can be passed from the workstation to the Server with the licensing key attached to obtain a license. Easylabel 6 Multi-User can be installed and used from every PC on the network. Command File Monitoring/ Processing: Provides the ability to print formats using commands contained in a Command File. This is similar to the DOS batch file facility. Works well from non-Windows systems such as AS/400, UNIX and LINUX. ActiveX Data Objects (ADO): The ADO database client provides you with the fastest, easiest and most productive means for accessing all kinds of data sources including relational and non-relational databases. OLE DB Based database editor: This editor supports the Microsoft Access structure allowing you to edit and create Access databases. Job List File: Is basically a saved print queue. Job lists can be created to print specific sequences of labels. A job list can be opened, and all the jobs in the list can then be added to the print queue in one operation. Print A Format to File: Allows the user to capture printer commands to a file to be used as a tool to create custom programs. Labelcom: Allows the user to automatically print a label using an external device such as a scale or scanner. Memory Card Download: Allows the user to download and print label formats without the printer being connected to a PC. Support of 40 types of Graphics: Such as PCX, PCC, EPS, WMF, BMP, and TIF. Import Data from External Sources: Save time by connecting to databases and external text files to retrieve data instead of having to re-type it. Time and Date as Field Data: Use the current Time or Date as a source of field data. Edit Order of User-input Prompts: Customise the order in which you wish to prompt to appear on the operator input screen. Custom Text Formatting: Can be used to suppress or print variable data to represent how the data will be formatted. Other valid characters for the string include, parenthesis, periods, commas, hyphens and the space character. Useful in complying with customer defined bar code human readable spacing. Read Paragraph Data from a Database: Multi-line fields can be defined so that information is read from a database record or from an external file. This is ideal for formats that require a lot of text, such as food ingredients, product descriptions, or hazardous material warning labels. Embed a Graphic in a Database Record: Allows you to automatically bring in the correct graphic along with other database information. Read Bar Code/ Text Data from a Database: Pull data in from a database record to populate a text field or bar code. Consecutive Numbering Text & Bar Codes: A number will be added to the field value for each format printed in a set or for each new batch. This option is typically used in applications that require a unique number such as a serial number on each format or batch of formats. Numeric, alphabetic, alphanumeric, hexadecimal, octal and custom formats are available. Data Validation on User Input: Increase label accuracy, reduce human errors, labor costs and label waste by controlling operator entered data. Data can be verified before it is placed on the label. EAN/UCC 128 Wizard: The EAN/UCC 128 wizard makes creating EAN/UCC 128 bar codes a simple 4-step process. The wizard prompts you for the required information and then builds the bar code automatically. You even have the capability to create codes with multiple Application Identifiers. Support for 2D and Composite Barcodes: Include bar codes such as Aztec, Codablock, PDF417, Micro PDF417, MaxiCode, DataMatrix, QR Code and RSS-14/Composite. Selectable Check Digits: Such as Mod 7, Mod 9, Mod 11, Mod 36, ABC Codabar, Mod 16, Mod 7 DSR or Weighted Mod 10 (2-1-2). Maximum number of fields on a format: Unlimited. Support Paragraphs Fields: Provides the ability to have text fields that contain more than one line. Ability to Link Fields: This function will allow you to tie together data from 2-12 fields on a format to be printed together in one large field. Add-on Characters for Bar Codes: You may specify a character string of up to 10 characters to always be appended to the front and/or end of the bar code. Special Formatting of Fields: Allows for specialized formatting of data. Options include predefined formats for Time, Date and Price. Slanted, Arced for Text Fields: Provides the user with the ability to print text fields in a slanted or circular orientation. This can be beneficial for round or curved labels. Field Fill Function: If less than the maximum number of characters are entered, the charecters will be bigger in both height and width. Allow Blanks for Operators Input Fields: Allow or prohibit INCOMPLETE operator input for variable fields. Track Data Field by Field for a Format: Provides tighter control over your label production by printing reports. Internal Database: Includes a database editor and allows databases as a data source. Database Cross-reference: With this function you are able to not only pull in data from one database but from a second, third or more. Database cross reference act as a pointer that directs Easylabel to the database where the data is stored. Print Queue: Gives you the ability to manage over 200 print jobs and save time. Stage Multiple Print Jobs in Print Queue: Allows you to freeze, restore, remove any non-printing job in the queue. You can also change the priority of the non-printing jobs, moving the critical jobs to the top of the queue so they get printed first. Conditional Printing of Database Records: Print only the database records that are marked for printing.Easylabel non SQL dBase database only. Or use the WHERE function for SQL data files. Print Items with Common Values: Print only the database records that meet the criteria you provide. For example print all records where color = blue. Save Print Queue upon Exit Easylabel: You will be prompted to save jobs that have not finished printing when you exit Easylabel. These jobs will resume printing when you start Easylabel again. List all Format Specs to Laser/ Dot Matrix Printer: Print a format definition. this is a list of all format and field options for your format. Mirror Image Printing: Prints the entire label as a mirror image. Enable/Disable Printing of Specific Fields: Fields can be set to always print, never print, or print based on the value of another field. Pass-through Function: Allows you to specify data that should be sent to the printer before the label format is sent. Support for Windows Print Drivers: Allows you to print to your Windows Printers. Print to Multiple Printers from one PC: Control up to 255 printers from one PC. Print Colour Text and Graphics on Colour Printers: Allows you to print in colour on your colour printer. Support Western Telematic Switch Boxes: These devices made printing to multiple printers from one PC possible before multi-port serial cards and print servers existed. RFID Wizard: Allows you to program and print High frequency (HF) and Ultra High Frequency (UHF) smart labels. The RFID Wizard will also assist you in creating an Electronic Product Code (EPC) and allow you to import the data to be programmed on the smart label from numerous sources. Network Support & Licensing: A Multi-User product is available with a number of client seats or concurrent users. The number of users is determined by the number of licenses you buy (available as 5,10 or 25 users) and are controlled by network License Manager Software. Password Security: By assigning user names and passwords, you can gain greater control and security to restrict the accessibility to certain menu options, such as format, editing and database manipulation. Serial Files: For production or shipping control as well as serialized plates and ID tags. Arithmetic Functions: Using field names, literal values and mathematical operators, you can create complex equations to manipulate data quickly and easily. Time and Date Functions: Advanced option. Windows XP SP2 or Higher. Easylabel 6 supports over 200 thermal/thermal transfer printers including: Avery Dennis • C.Itoh • Cab • Citizen • Datamax • Intermec • Novexx • Printronix • RJS • Sato • Synergystex • TEC • Tharo • TSC • Zebra. *Please note: product specifications vary according to software version. Please Note: label design capabilities vary according to software version.